What I was looking for: I've found that a lot of foundations clog my pores and make my skin just feel really blah, which is really bad for my oily skin, as well as my overall confidence in my foundation. I wanted my skin to be able to breathe! I've also found that the majority of foundations don't really cover redness and blemishes effectively without having to apply a great deal of product, which is really bad news for my skin. I'd read on quite a few websites that the reason people with oily skin have so much trouble with foundations, is because they are oil-based, which means making your skin oilier on top of the oil that's already there.It was recommended that I try water-based foundations instead, but I don't know about anyone else, but I have not got a clue how to find out if something is oil or water-based. So, I was left incredibly baffled. That's when I came across Mineral foundations. It's claimed that mineral foundations are made from natural products, that are better for your skin, and when applied are so light, that it allows your skin to breathe. 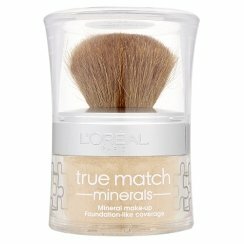 So, I thought that I would give a mineral based foundation a try, and that is how I came across the True Match Minerals Range. Why I chose the True Match Minerals Range: I chose this range, first of all because it had been recommended to me, to use a powder rather than a liquid, because liquids are more likely to clog pores. To be honest, this freaked me out a little bit, because I was really worried that a powder wouldn't give as good coverage as a liquid. But, I was willing to give it a try if it meant that my skin felt better, and the foundation didn't bring on outbreaks! I was drawn towards the True Match, because L'Oreal proclaim that the product blends to your exact skin tone, which boosted my confidence that this product might actually give adequate coverage after all. How I Picked a Shade: I tested a couple of the shades on my hand, and weirdly enough the first one that I tested (Vanilla Rose), blended into my skin tone pretty much instantly. I don't think that I've ever found a foundation that appeared to match my skin tone so well. So, I was quite happy. I have a cool skin tone (you can apparently find this out by looking at the colour of your veins. If they are blue, it means that you have a cool skin tone, and if they are green then you have a warm skin tone), and when I purchased the Vanilla Rose, I noticed that it's "number" was C2, which I have since found out means that the foundation is a cool tone. There are also Warm (W) tones, and Neutral (N) tones available. I thought that this was great, because if you know your skin tone, it narrows down which shades you should be testing, saving lots of time. How it Works: The True Match Minerals foundation comes in a small bottle, with a brush that is attached to the lid. The bottle might seem small, but the way the foundation works, you won't be using a lot of product in each usage. First of all, you shake the whole bottle gently, before pulling off the lid (which protects the brush), and unscrewing the brush. A small amount of product should be in the top of the bottle, and you just dab your brush into the powder, and apply the product in circular motions across your face. Simple. Be careful though, because you shake the bottle with the lid on, some product sticks to the underside of the brush lid, which can be a little messy. Since it is a powder, I also found that a lot of fall out from the brush found it's way down the front of my top, so I recommend applying your foundation before getting dressed. Did it Sort out my Problems areas: At first, I was really sceptical about this product in a lot of ways, but I have to admit that I have been pleasantly surprised with this product. I found that I didn't need to put a great deal of the product onto my face to get really good coverage, that not only hid my blemishes, but actually faded my red cheeks a heck of a lot. Because I used to little product, my skin felt like it could breathe, and it didn't feel like it was clogging my pores. Any Downsides? The only major downside that I found with this product, was the fact that about an hour after initially applying the foundation, I noticed that the powder appeared to have settled into the pores on my cheeks, and I had what looked like peach-coloured dots on my cheeks. This was really not attractive. However, I don't think that this was the end of the world. The second time that I used this foundation, I primed my skin using a Primer, and I found that this sorted the problem out, really quickly and easily. When I was first looking into this product, I read a few people complaining about the product looking fine when they tested it on their hand, and then when they used it at home, it seemed to turn their face orange. 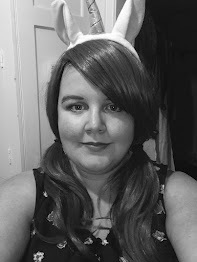 And I will admit that mine turned me orange once, but it was only because I'd been messing around seeing how much coverage you could get with this, and seriously, if you put too much on it really does turn your skin orange, so it's advisable not to use too much product. Who is this Product for? Really, I think that this is suitable for absolutely anyone, no matter what your skin tone, or whatever problems you have. It offers great coverage, that is light and doesn't clog pores (non-comodegenic - see! I am learning!!). Since it contains to oil, it isn't greasy, but it doesn't dry your skin out either.